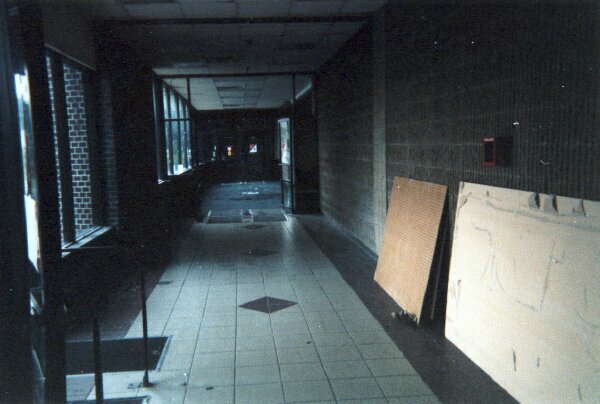 seen above the Caldor building attached to the Latham Circle Mall, torn down spring 2003. I have been an Albany native my whole life. I grew up in Latham and spent my teen years at this mall. 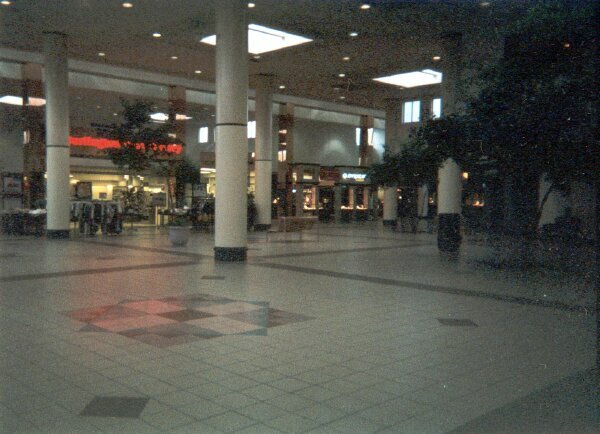 I went to the mall a lot back in the early-mid 90’s. I loved going to County Seat (a Western themed clothing store with a lot of denim items), Claire’s (for jewelry and hair scrunchies), The Limited (young women’s clothing), Deb (teenager clothing-this moved twice in the mall), The Gap (it was one of the smallest, narrowest ones I have ever been in), and The Express (women’s clothing). I remember Déjà vu (the hippie store) and getting cool rock t-shirts there. I also liked Klein’s sporting goods, I think it was located by Caldor and it later moved down by the foodcourt (before it went out of business). I remember going to Papa Gino’s (which I really miss) and having my 10th birthday party there in the Italian themed dining room. I also remember an overpriced cookie shop, but I don’t recall the name but they did have cool cookie cupcakes. 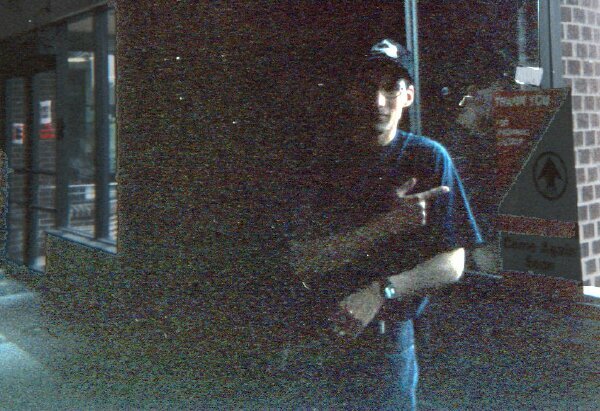 I worked at the mall in 2002-2003. I was employed by Wildwood School, which eventually relocated to an office building on Route 7 (that same year). Other random spots I remember: Facades (which later became Malt River Brewery), Caldor (before Walmart came into our area), Chess King (a young men’s store), The Gateway computer store, and Just a Buck. I remember a Grand Union being located right next to the mall. The GU later became a Gold’s Gym. The Gold’s eventually moved into the abandoned Steinmart store in the mall. Around 2004 or 2005 the Gold’s moved to Route 2. I also remember trips to the Ground Round which was also on the mall property. It will be really sad to see the mall go but it's time. I made a trip to Latham Circle Mall today and personally witnessed the decimation of this once thriving mecca. 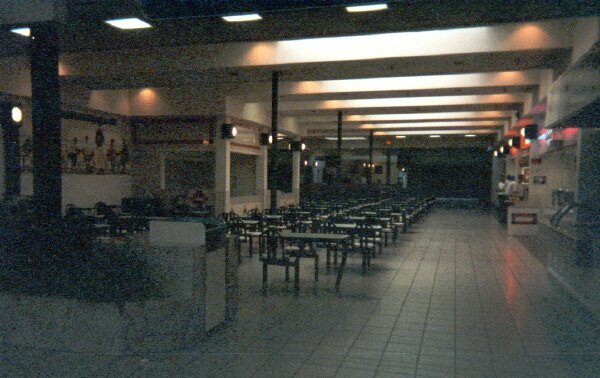 The food court is now completely devoid of food and is now home to a security guard office which only has one guard on staff. There are wet floor signs sporadically peppered throughout the property even though the floors are only really wet after a good rain; They still leave them out regardless of the weather. Two anchor stores remain: Burlington Coat Factory, JC Penney and the movie theater above JC Penney. There are a handful of smaller stores left including Deb, a hairstylist, a candy shop, and a place selling sport fan hats, shirts, knick knacks, etc. Most of the store fronts are vacant. My photos are linked below. In the past year, this mall has lost several stores, including a Gateway computer store, Carlson Cards, a McDonalds, a Klein's All Sports and various other smaller stores. On April 4, 2005 it will lose Gold's Gym and in September it will lose the CVS/Pharmacy. Recent news reports have blasted management there for not having a working fire alarm system in the mall for over the past year. New tenants (if any) have been totally restricted until the mall installs a working fire alarm system and corrects the dozens of code violations that exist throughout the mall. Management of the mall obviously has no desire to resurrect this mall for it spends no effort or money in maintaining, beautifying or expanding the mall. The driveways, parking lots and structure of the mall are in such disrepair you'd think the mall had shut down years ago. Even local news media consider it a dead mall and it isn't even dead yet. One can only hope a new owner buys the property someday and revives this once prosperous mall that has been virtually ignored by it's owners and allowed to die a slow, agonizing death. The property that now holds the Latham Circle Mall originally opened in the 1950's as an open air plaza called Latham Circle Shopping Center with a Grand Union, WT Grants, The Boston Store, and a Woolworths as anchors. 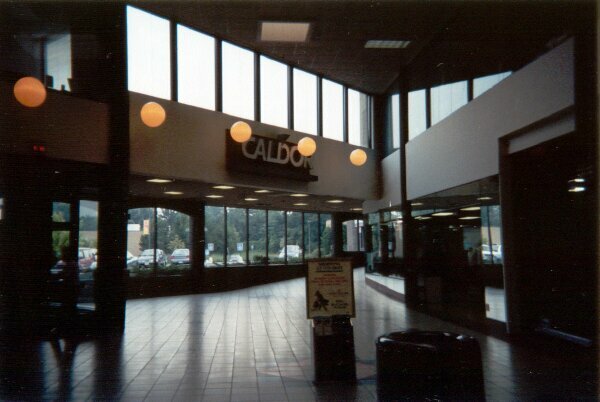 The mall was eventually reconstructed as an enclosed mall in the 70's with Caldor, Woolworths, The Boston Store, JCPenney, and 60 or so other stores, along with an outparcel Grand Union. 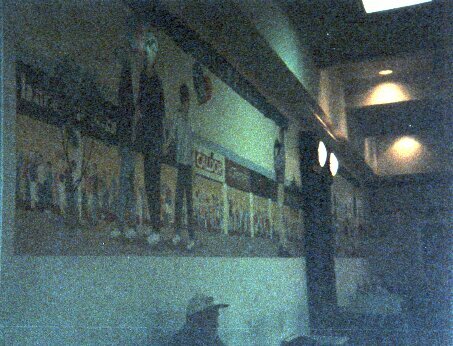 The mall was filled with 1970's decor, and had many interesting sections, such as a small upper mezzanine level in the back of the food court, as well as space for a local radio station(since closed down), a college, and offices. In the 80's, a fire ripped through the Boston Store. They insisted on reopening, but never did, and the space was filled with Burlington Coat Factory. Also around this time, the original JCPenney was demolished, with a new store being built next to their old one. The former space was turned into more stores and a second level Hoyt's 10 screen movie theater. With the opening and eventual expansion of Crossgates Mall, and an expansion of the older Colonie Center, this mall never really stood a chance. Woolworth's closed in 1997 with the rest of the chain, and was converted into Stien Mart. Smaller stores flocked to the better malls, and the mall never really regained a strong presence. Stien Mart didn't last long and closed in 1998. 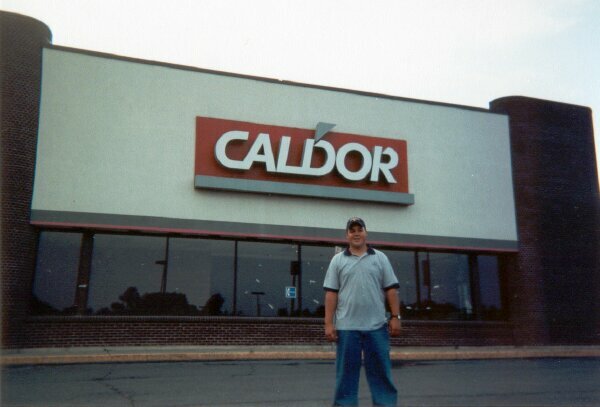 The following year saw the closure of Caldor as part of their bankruptcy. This caused that whole wing to become a ghost town, and the main wing followed not long after. The owners tried to gain more ground by adding Klien's All Sports, Old Country Buffet, and another restaurant, owned by the mall owner's son, the Malt River Brewing Company. Nothing exciting happened on the property until 2003, when Lowes decided to open a store on the site of the former Caldor, also while forcing out the Grand Union and demolishing their building for an expanded parking lot. Lowes was looked forward to, as many thought the mall would rebound. 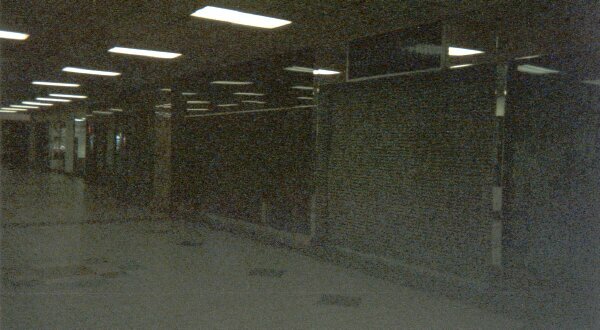 However, Lowes never built an internal entrance to the mall, basically sealing it off. Ever since, the mall has slowly sank to the bottom, losing more and more stores each year. Kliens fell by the wayside, and more inline stores closed. Deb closed their vintage 1970's mirror facade store and moved closer to JCPenney. CVS moved out to a new 24 hour pharmacy next to the mall. Recent plans had hoped to improve the malls image by turning it into a mall/lifestyle mix, similar to what developers did with Clifton Park Center. This plan has seemingly fallen into limbo, as nothing has happened, and the mall has been foreclosed upon for back taxes. So for now, the mall sits, and it's still open, so check it out before it's gone. This is a really bizarre mall. It's got offices in it, an escalator, a college, a parking garage, an all you can eat buffet, and the some crazy architechure. I think this mall originally housed a Bradlees, but I never saw it. I do know it was anchored by Caldor, and still has it's JCPenny, and a new-ish Gateway Store. It's doing alright. there are lots of secondary mall stores, but relatively few empty storefronts. The mall's lot is always full, and they're probably turning a profit, so I guess it's not dead, but boy it's different. This mall can only be described with pictures, so I guess i better get some up soon. I recommend a visit, it's well kept, and the Old Country Buffet is good.